This timeline traces some of the milestones and accomplishments of First Nations Development Institute over the past three and a half decades. 1980 First Nations Financial Project is founded in Fredericksburg, Virginia, by Rebecca Adamson. Funded by a $25,000 grant from the Ford Foundation, the project – renamed First Nations Development Institute in 1991 – becomes the first nonprofit social enterprise exclusively committed to Native control of tribal assets. 1984 Saginaw Chippewa Trust Fund Investment Management Project is formed by First Nations in conjunction with the Saginaw Chippewa Indian Tribe of Michigan to address the challenge with tribal trust funds management at the Bureau of Indian Affairs (BIA). 1985 First Nations supports the establishment of the Lakota Fund, which is the first microenterprise peer-lending fund on a reservation. 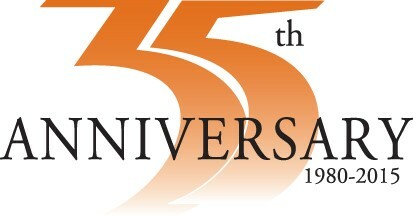 The Lakota Fund becomes independent in 1992. 1986 First Nations establishes the Oweesta Program, the first model of Community Development Financial Institutions (CDFIs) in Indian Country. 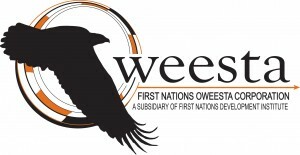 First Nations Oweesta Corporation becomes a fully independent subsidiary of First Nations in 1999. 1990 First Nations, along with the Native American Rights Fund and the Council of Energy Resource Tribes, come together to create the Inter-Tribal Monitoring Association on Indian Trust Funds. ITMA was created to actively monitor and have a voice in the activities of the federal government to ensure fair compensation to tribes for historical trust-funds mismanagement. As its first order of business, ITMA hired consultant Eloise Cobell. First Nations later supported numerous allottee organizations as they attempted to trace records of historical allotments and royalties owed on allotments from the Bureau of Indian Affairs. First Nations’ work with the ITMA and financial support of allottee organizations across the U.S. eventually lead to the Cobell v Salazar class-action lawsuit that was finally settled in 2009 with claimants winning $3.4 billion in damages for mismanagement of trust assets. Note: First Nations supported allottee associations in Oklahoma; Quinault, Washington; Fort Hall, Idaho; the Navajo reservation in Arizona; Blackfeet in Montana; Pine Ridge in South Dakota; and Belcourt, North Dakota. This assistance helped to build their land-management capacity and increase control over their assets. It helped them verify and update ownership records and assess fair value of their assets, including royalties for oil, timber and other assets. 1990 Native Americans in Philanthropy is founded. First Nations, along with other Native leaders, facilitate the creation of this organization, supporting its mission of increasing the effectiveness of philanthropy related to Native people. 1993 The Eagle Staff Fund is launched as the first Native-led grant program to support reservation-based economic development. In 1994, First Nations makes its first grants, supporting InterTribal Bison Cooperative and Alaska Native subsistence. 1994 First Nations, through participation in the Community Development Financial Institutions (CDFI) coalition, ensured that Indian-specific language was included in the Riegle Community Development and Regulatory Improvement Act of 1994. First Nations’ advocacy also ensured that the newly created CDFI Fund would include a mandate that it conduct a study of lending and investment practices on Indian reservations and other lands held in trust by the United States. 1995 First Nations hosts the first annual L.E.A.D. (Leadership, Entrepreneurial and Apprenticeship Development) Conference, designed to help emerging and existing leaders in Indian Country network, grow professionally, share ideas and learn new skills related to asset-building. 1997 First Peoples Worldwide is founded by First Nations to assist with Indigenous issues around the world. 1998 First Nations forms Native Assets Research Center (NARC) consolidating First Nations’ concentration on research as an instrument of policy reform in Indian Country. 2001 In partnership with the Fannie Mae Foundation, First Nations produces the Building Native Communities: Financial Skills for Families curriculum, a culturally appropriate guide to financial education in Native communities. 2002 First Nations Establishes Native Agriculture and Food Systems Initiative, with primary support from the W. K. Kellogg Foundation, to address the health and well-being of Native peoples. In 2004, First Nations publishes its first Food Sovereignty Assessment Tool. 2003 First Nations Launches Native Youth and Culture Fund to preserve, strengthen and renew Native culture among youth. 2005 Michael Roberts is appointed president of First Nations. He serves on the organization’s board and is chairman of the board of First Nations Oweesta Corporation. First Nations moves to Longmont, Colorado, and continues to hire more Native staff and consultants. 2009 First Nations publishes Native American Asset Watch: Rethinking Asset-Building in Indian Country, which explores the most fundamental questions confronting tribes: Who controls Native American assets? How can Native Americans regain control of their assets? How will Native American tribes develop the essential organizational, political, legal and economic infrastructure, the required expertise and capabilities in government, technology and business and the needed skilled tribal workforce to control and manage their assets? 2011 First Nations releases a Model Tribal Consumer Protection Code in response to the abuse of predatory lending in Indian Country. 2013 First Nations co-hosts the first annual Native Food Sovereignty Summit, a forum for sharing and collaboration around how to build healthy food systems within Native communities. The organization also purchases its own office building for its permanent headquarters. 2015 By mid-year ― First Nations’ 35th Anniversary Year ― the organization had successfully given/managed 1,039 grants totaling $23.7 million to Native American projects and organizations in 37 states, the District of Columbia and U.S. territory American Samoa. 2015 Among the charity watchdog agencies, First Nations holds the best and highest (4 Star) rating from Charity Navigator, is a top “Gold Participant” with GuideStar, and is an Accredited Charity with the Better Business Bureau’s Wise Giving Alliance. Together, First Nations and Oweesta have combined assets of nearly $16 million, and combined annual revenue of $7.5 million. What is your relationship with Catholic Charities now and in the past? I have been looking for groups that contribute the most effectively to the well-being of native peoples. I am so encouraged by the work you have done and are doing! Why haven’t I heard of you before this?